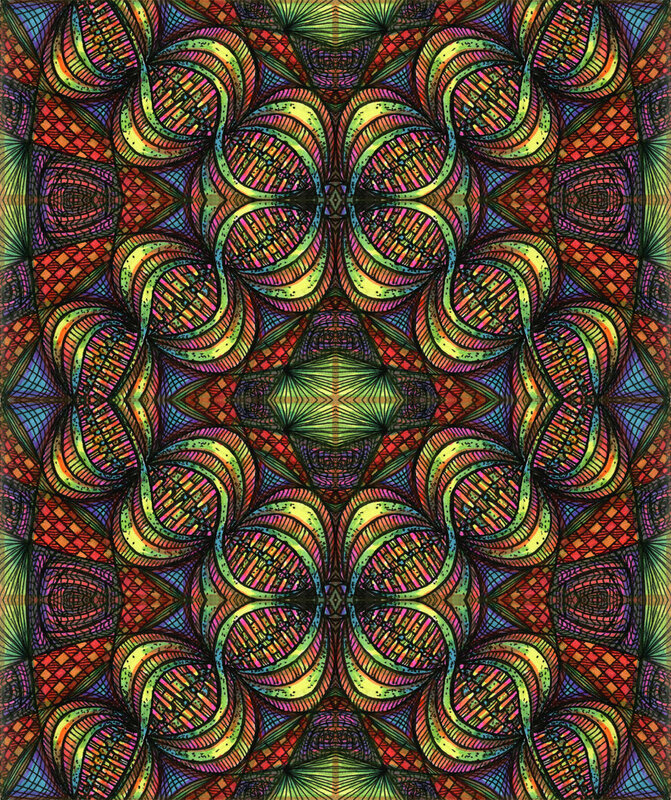 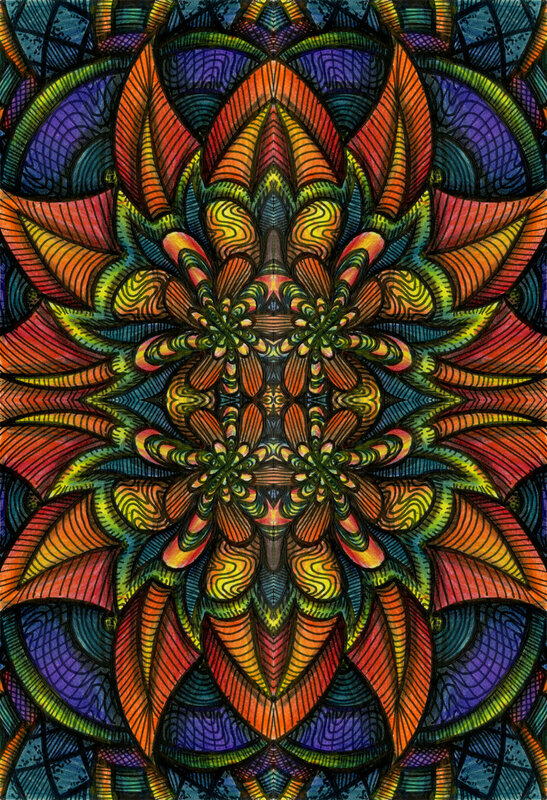 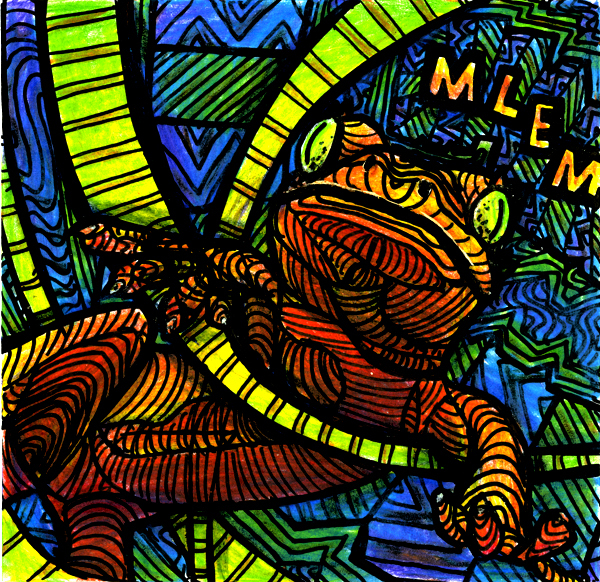 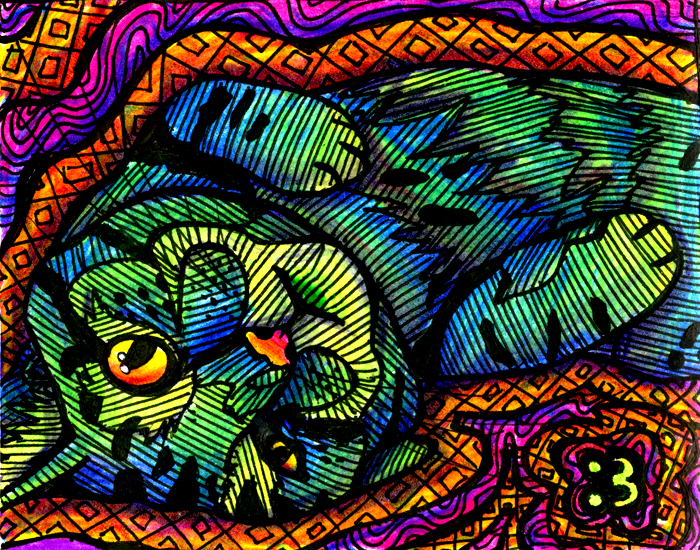 Pen and colored pencil with digitally boosted colors for a psychedelic look. 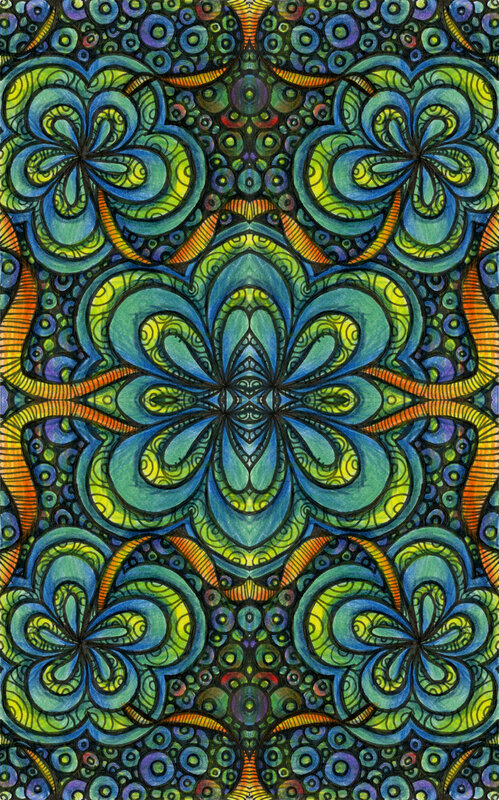 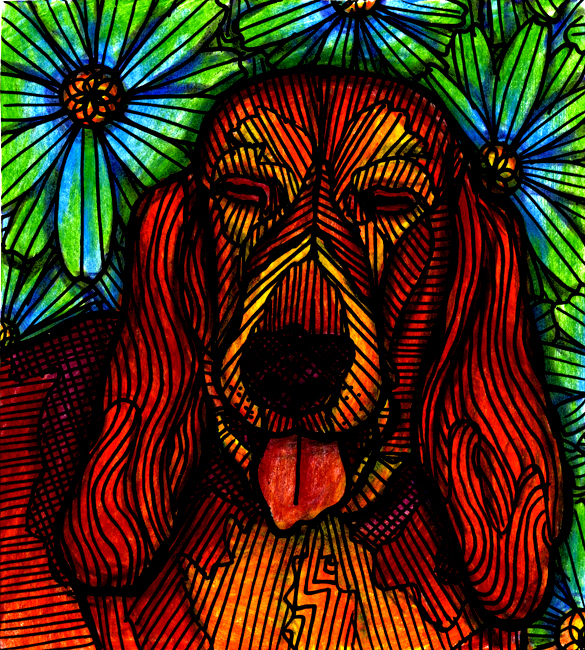 "Doodles" in ink and colored pencil, duplicated to create repeatable patterns. 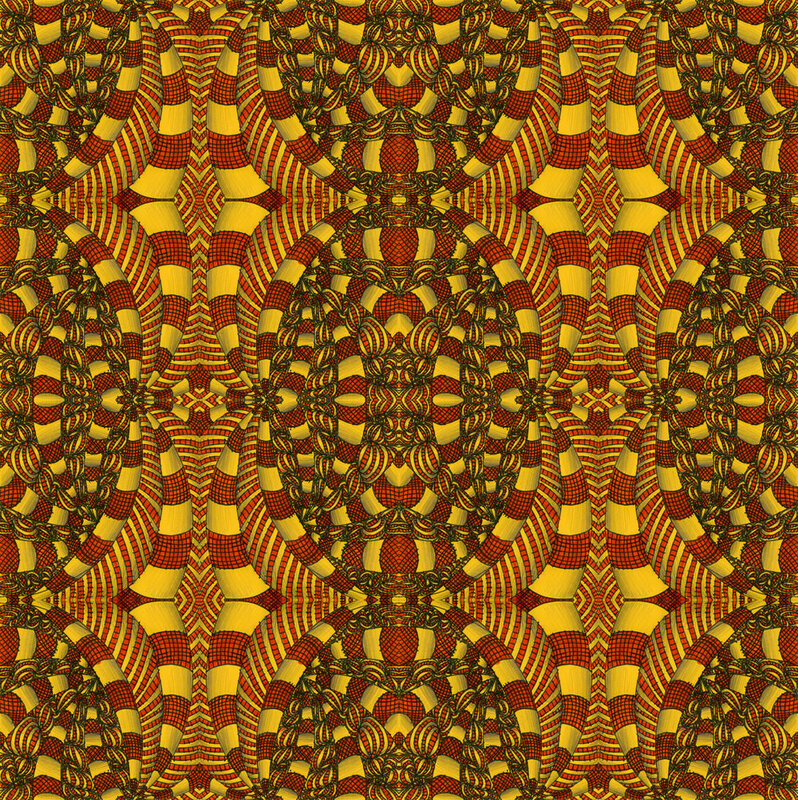 These are just a few samples.